Here’s an idea that may be of interest to a handful of readers. 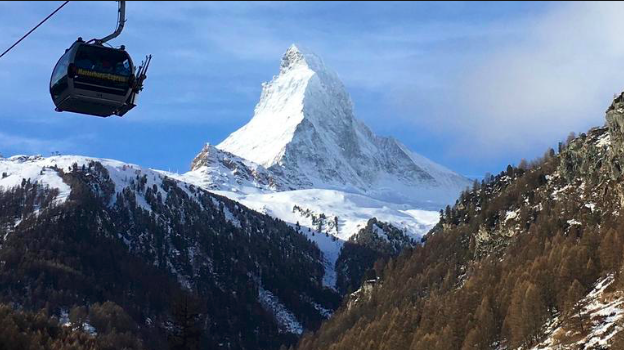 As part of our month-long ski trip to the Alps, I will spend the week of March 10 with Alpskitour, skiing with a guide in Italy’s Aosta Valley. I’m inviting a handful of SeniorsSkiing.com readers to share the experience. Alpskitour is based in the small city of Saint Vincent, and every day, based on conditions, we’ll ski different areas accessible from the valley. Some, like Zermatt, Monte Rosa, Mont Blanc, and Courmayer, are famous; others, like Champoluc, Gressoney, and Pila, less so. But they have wonderful skiing and outstanding scenery. There’s a choice of a 3 or 5 star hotel in Saint Vincent, and a guide will take us to a different place each of the five days. This is different from skiing in the States or Canada. Mountains are massive and there’s rich history everywhere. Many areas are contiguous and skiable with a single pass. On-mountain restaurants are individually owned, serving wonderful local cuisine. I chose March because of the reliable snow and likely clear skies. Each group is limited to 6 people. If more want to join, Alpskitour will arrange an additional group. Skiers should be strong intermediate or higher. Saint Vincent is a scenic, old city with history and beautiful architecture. It has a well-known natural mineral spa and casino. Cost depends on where you fly in to and your choice of hotel. It ranges from $4,400 to $5,250 (using the current €/$ coversion rate)and includes airport transfers, hotel (6 nights), all meals, local shuttles, ski rental, lift tickets, guide/instructor services, and a variety of amenities. 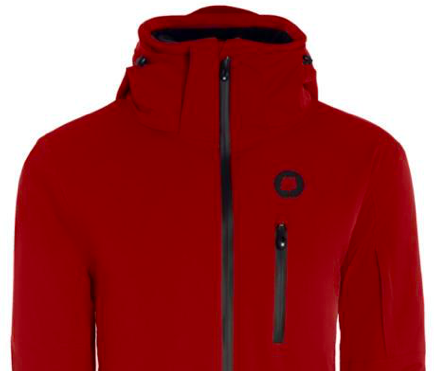 Orsden, the online ski clothing company that makes one of the best parkas I’ve ever owned (great looking; virtually every ski-related feature) is including a free parka for each participant — a $330 value (comparable to a $600 in-store parka). I’ve used mine three seasons, and it still looks new. I’ll be rounding up some other free merch for those who join in. Ski Younger Now, the innovative retraining program for older skiers, and skiers returning to the sport after recovering from an injury, has moved its base from Vail to the Aspen/Snowmass Ski School. 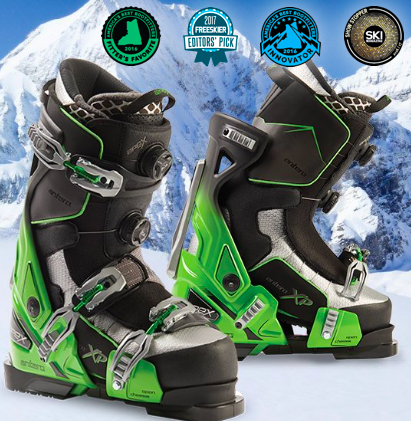 The program teaches low-impact, low-torque techniques to enable efficient skiing in all kinds of terrain. Seth Masia, who developed the program, trained several Vail instructors who will continue to offer it at Vail. It was named best United States’ Ski Resort for the sixth straight year. Stein Eriksen Lodge was recognized as the country’s’ Best Ski Hotel,” and Goldener Hirsch Inn, as the country’s best Ski Boutique Hotel. Ikon Pass added Coronet Peak, The Remarkables, and Mt Hutt on New Zealand’s South Island. Ikon’s other Southern Hemisphere partners are Thredbo (Australia) and Valle Nevada (Chile). “Ski Photographer” is a nine minute account of Oskar Enander, a colorblind photographer, specializing in ski photography. the film is shot is Engleberg, Switzerland, where he lives. It has beautiful imagery. Watch it to the end and you’ll be treated to a series of exceptional stills. This five minute video from Teton Gravity Research shows 11-year-old Kyle Jones skiing Jackson Hole. OMG!!!!!! “Off Piste: Tragedy in the Alps” is important for anyone interested in avalanche safety. It starts with the stories of US Ski Team racers Bryce Astle and Ronnie Berlack, who were killed in an avalanche in Solden, Austria. The BRASS Foundation was formed in their memory and is dedicated to creating educational programs and best safety practices for snow sports athletes to further their physical and psychological well-being. It is very well done. Panda Poles: I ski with Panda Poles. They have bamboo shafts and are beautifully hand-crafted in Pocatello, Idaho. Most older skiers I know would be delighted to own a pair. 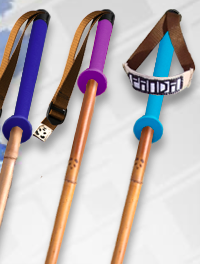 Panda also makes kids poles, trekking poles, selfie sticks, and wading and camera wands, among other interesting uses of bamboo. The company is offering a 30% discount to SeniorsSkiing.com subscribers. That brings the adult pole from its regular price of $95 to $66.50! It is a very sweet deal. Go to https://www.pandapoles.com, make your selections (there’s 2-minute tutorial to help make the correct choices), and enter SENIORS30 upon checkout. Alternatively, click on the adjacent coupon. I’ve written about Orsden parkas in the past. I was wearing mine while shopping last week when someone commented about the great color. I explained that the parka is designed for skiing, but perfectly suitable for other uses as well. I showed her the multiple strategically placed pockets, the removable powder skirt (since she never skied, that required some explanation), the waterproof zippering system, detachable hood, etc. In the process, I realized the parka – despite three seasons of hard use – still looked as fresh as when I first wore it; that despite multiple runs through the washer. She was surprised when I told her that it’s priced at $330, about half of what similar parkas cost at retail. The company is able to do that because it only sells on line. Since I learned about Orsdan, it has added $200 ski pants. I intend to purchase a pair. If they’re anything like the parka, they’ll be winners. Orsden is offering SeniorsSkiing.com subscribers 30% off through December 31. Shop at Orsden.com and enter WINTER30 when checking out. Am very interested in the Aosta Valley Trip in March. I’m 66y/o, quite active, have skied all my life. I live on Boston’s North Shore and am a buddy of Mike Maginn’s. Hello Jon, are you the famous one from Bishop? We used to listen to your jazz program! We live in the area. Just curious.